On the heels of the Legislature’s action last week to not advance the water tax proposal as part of the state budget, there is a strong need and opportunity to move forward to improve access to safe drinking water for many more Californians. Innovative New Approaches that Empower Local Agencies. We can make significant progress on this important health and safety problem by empowering newly created local agencies to supply clean and safe drinking water. AB 2050 (Caballero) will create an innovative approach to small water system governance that can help ensure that all Californians have access to safe drinking water. AB 2050 will enable noncompliant drinking water systems to come together and consolidate within a larger “small system water authority” where they can achieve the technical, managerial and financial capacity needed to be sustainable over the long term. Under a responsible water authority, these water systems would benefit from larger economies of scale, expanded ratepayer bases, operational efficiencies, and enhanced funding opportunities. This approach also supports Governor Brown’s call for subsidiarity. Targeted Funding to Address Needs Statewide. California voters last week approved Proposition 68, which includes $250 million for Clean Drinking Water, including $30 million for regional projects in the San Joaquin Valley. This funding can build on current funding available in Proposition 1 and the Safe Drinking Water State Revolving Fund. The November 2018 Water Bond also contains $500 million for Safe Drinking Water, including public water system infrastructure improvements for safe drinking water. NCWA and the Sacramento Valley have and will actively supportive all these measures. The combined $750 million in state funding is a good foundation to begin addressing the limits of safe drinking water supplies throughout the Central Valley. The Association of California Water Agencies (ACWA) has also developed some innovative funding mechanisms that could be very helpful to these efforts. Additionally, while last week’s budget agreement between the Administration and Legislature did not advance the water tax proposal as part of the state budget, it does include a $23.5 million General Fund set-aside for future allocation to safe drinking water actions. Working Constructively to Improve Rural Water Quality. Several agricultural producer organizations have worked with other partners to develop constructive provisions for agricultural funding and related liability protections to address many of the specific rural issues (i.e., nitrates) associated with providing safe drinking water. The proposed “Safe and Affordable Drinking Water Act” (both the trailer bill and SB 623 (Monning)) contained these important provisions that will greatly improve access to safe and affordable drinking water in California. Importantly, the ability to effectively implement these provisions is not dependent upon a water tax. Implementation of Existing Regulatory Programs. The Sacramento Valley, through its water quality coalitions, is implementing waste discharge requirements as part of the Irrigated Lands Regulatory Program and Basin Plan Amendment. These programs have and will continue to improve the water quality in the region. Moreover, they will also help implement the state’s antidegradation policy on agricultural lands to assure that safe and clean water is fully protected in the Sacramento Valley in the future. Similarly, urban agencies with permits will also be addressing the antidegradation policy. Addressing Specific Community Needs through Local Efforts. NCWA, through its Board of Directors representing local water agencies and counties, is committed to work within the Sacramento Valley to help assure that the entities currently not in compliance with safe drinking water provisions can achieve compliance with the State Water Board. The focus is on entities currently in violation of one or more federal/state primary drinking water standard where an enforcement action has been taken. NCWA joined a broad statewide coalition that does not believe the “water tax” is necessary to provide access to clean water in California. In fact, the proposed water tax is very divisive and can stifle the implementation of many of these important actions that need to move forward for Californians to have access to safe drinking water. Instead, empowering local agencies to develop local solutions to specifically address the community water quality issues will be more expeditious and effective. 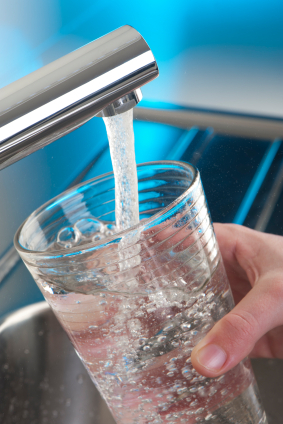 As part of this effort to move forward to improve safe drinking water in the Sacramento Valley, we would welcome any thoughts, suggestions or ideas that will help advance these important efforts. 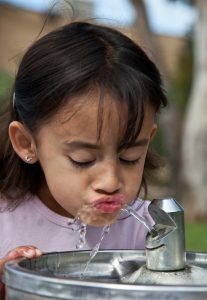 Please provide your thoughts to info@norcalwater.org.